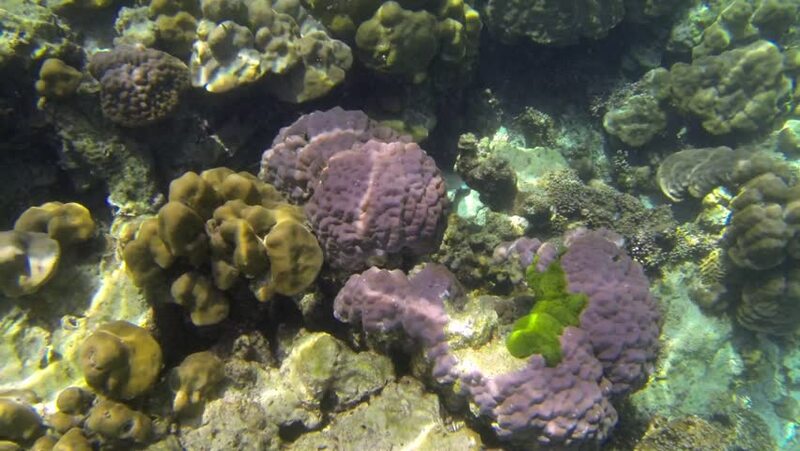 Slow motion shot of a coral reef in Thailand seen from the water surface. 4k00:16Moray eel on coral reef. Underwater world with corals and tropical fish. Diving and snorkeling in the tropical sea. Bali,Indonesia.